Clavicle Splint Size: Small by Core Products at Get Cheap Health Insurance. MPN: CLR-6230-S. Hurry! Limited time offer. Offer valid only while supplies last. CLR-6230-S Size: Small Features: -Clavicle splint. -Provides even pressure to properly position the clavicle. -Inconspicuous under most clothing. CLR-6230-S Size: Small Features: -Clavicle splint. -Provides even pressure to properly position the clavicle. -Inconspicuous under most clothing. -Contoured foam sleeves covered with stockinet for comfort. Product Type: -Shoulder. Generic Dimensions: -Small width: 28'' - 32''. -Medium width: 33'' - 37''. -Large width: 38''- 42''. 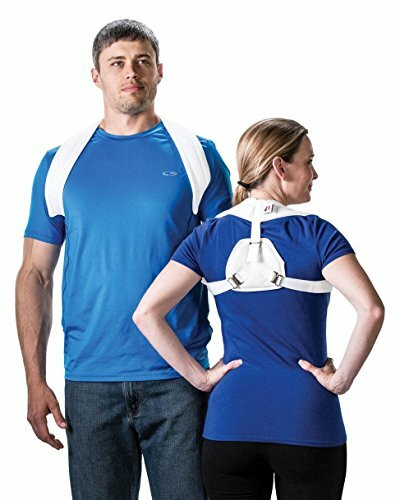 View More In Shoulder Supports. If you have any questions about this product by Core Products, contact us by completing and submitting the form below. If you are looking for a specif part number, please include it with your message.